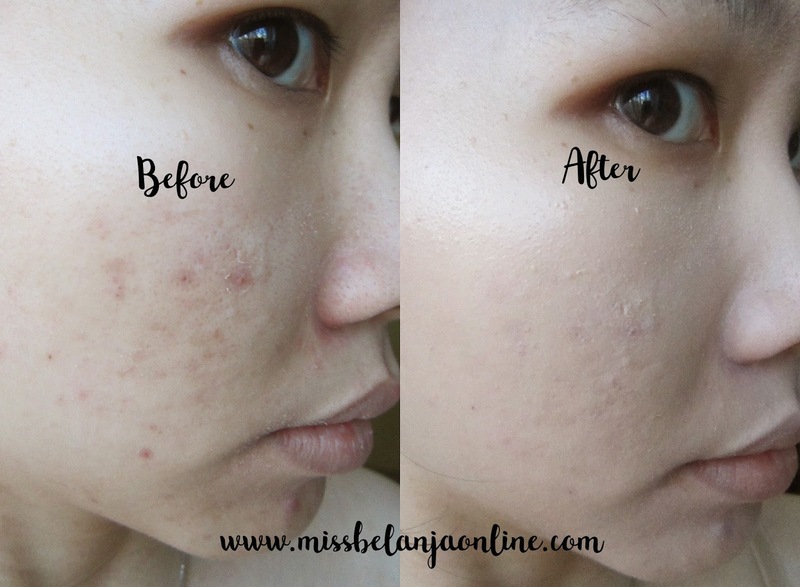 Hello~ I'm back again with another BB Cushion review. I bought 3 new BB Cushions couple months ago and now I will flooding your timeline with my review~ This time I will talk about BB Cushion from The Face Shop. 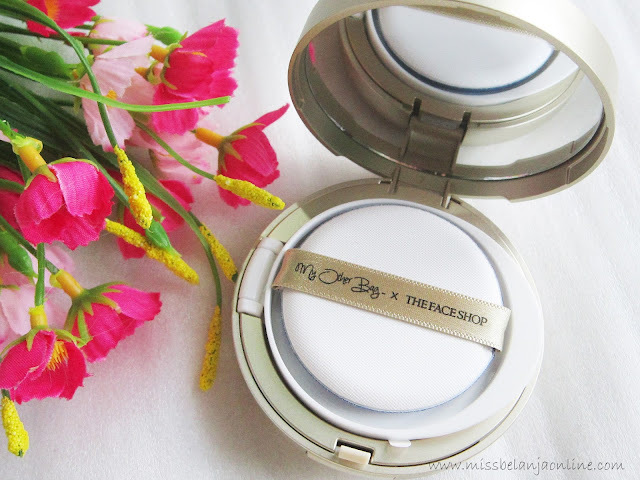 Packaging: This BB Cushion has a big and fat packaging, similar to Laneige BB Cushion. Because this is a limited edition series, the packaging is quite fancy and beautiful. In fact, the first reason why I bought this BB Cushion is because its packaging hehehe. 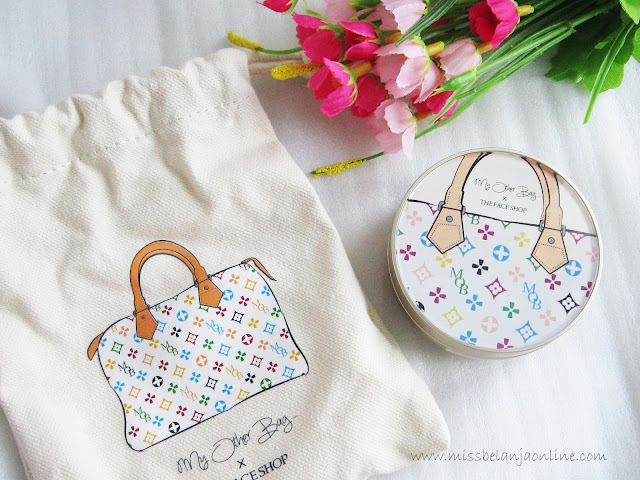 There is a beautiful LV replica bag drawing on top of the packaging. There is also an MOB acronym which is stand for My Other Bag. 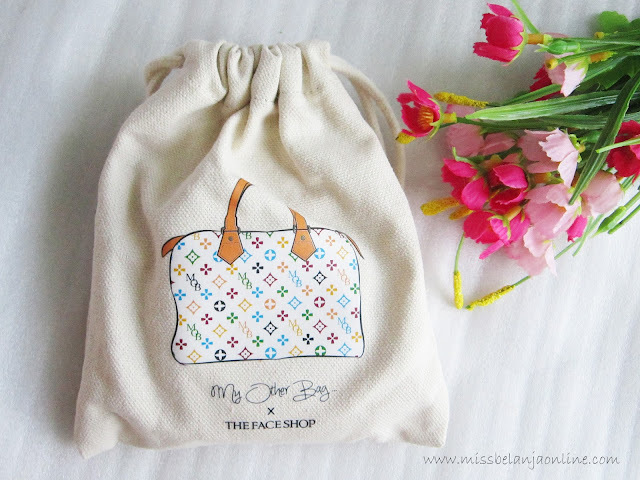 This BB Cushion also comes with a pouch *another yay!! * I'm not sure about the material, but it's quite thick and has an inner layer. The bag drawing on the outside also has 3D effect and glossy finishing. It's quite high quality for a free pouch. Inside the BB Cushion, like always there is an air cushion puff and also a wide mirror. There is a sticker seal on the product like the usual BB Cushion. Texture dan Scent: Unlike Etude AC Cushion that has quite strange herbal scent, this one has a nice fragrant scent. The texture is lightweight and cover acne scars well. 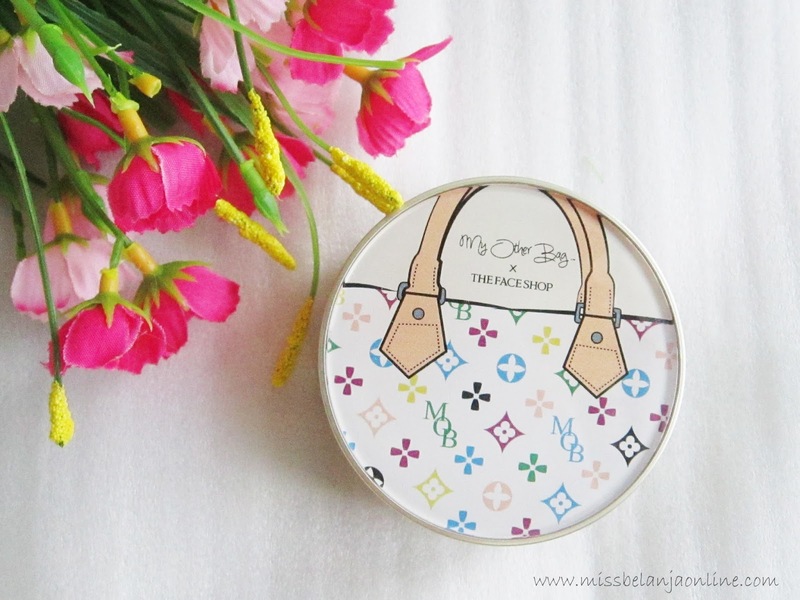 It also a has a nice semi-matte finish and quite long lasting on my oily skin. 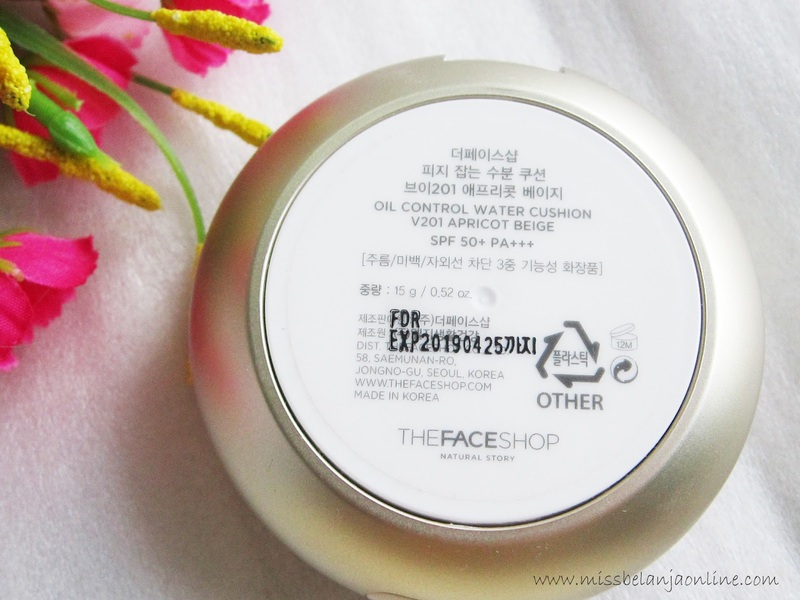 After all this BB Cushion is for oil control, so I glad it really suits with the name. 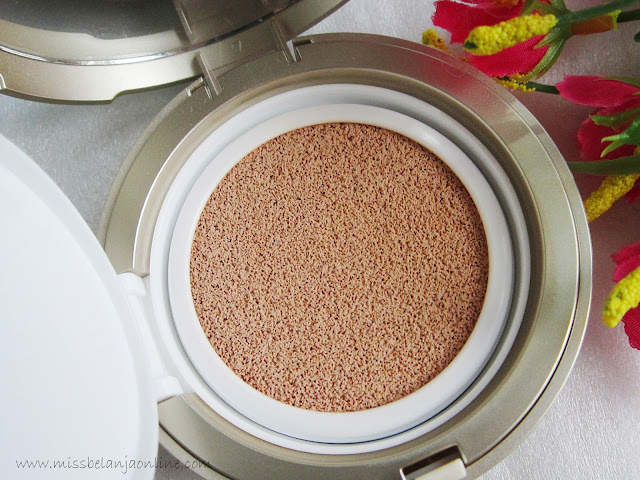 Conclusion: This is become one of my favourite BB Cushion because I really love the coverage and the packaging! Lbh preffer ac clean up atau tfs oil control water cushion?